I think Clive meant so the stretch on the 8.5 would look the same as the 10j on the rear. I thought you was running a decent size rear Daz? I used to run a 235 but I went upto a 255. Clive didn't realise that. Sticks out too much and looks at odds with the profile of the car. I'm waiting for a delivery on a roof spoiler for my s14a, can't wait to get it fitted. It'll look spot on on yours! I've just sat and read all 50 pages, well over the last 4 days give or take! and my god what an amazing car, love the colour, and love the hcoice of wheels etc. very handy seeing all the tricks / tips and things to do when fitting bits for hwen i get mine. Hmm, there seems to be odd opinions on the roof spoiler. I'm not getting one just yet though but keep looking at them. Do you not think the one on Nash's car looks good? Awesome. Can you post a couple of pics in this thread once you get it fitted . Glad you enjoyed reading through the whole thread. Cheers me up when someone enjoys reading it as I think I chat about a lot of rubbish most of the time lol. More bits coming soon . Nope. No offence to Nash or anyone else with one fitted of course, but they offend my eyes. None taken . Each to there own and all. Iv always thought they really suit s bodys. Don't listen to him nash, he drives a scrabble wagon . New exhaust gaskets turned up so I can tweak the fitment of the exhaust . 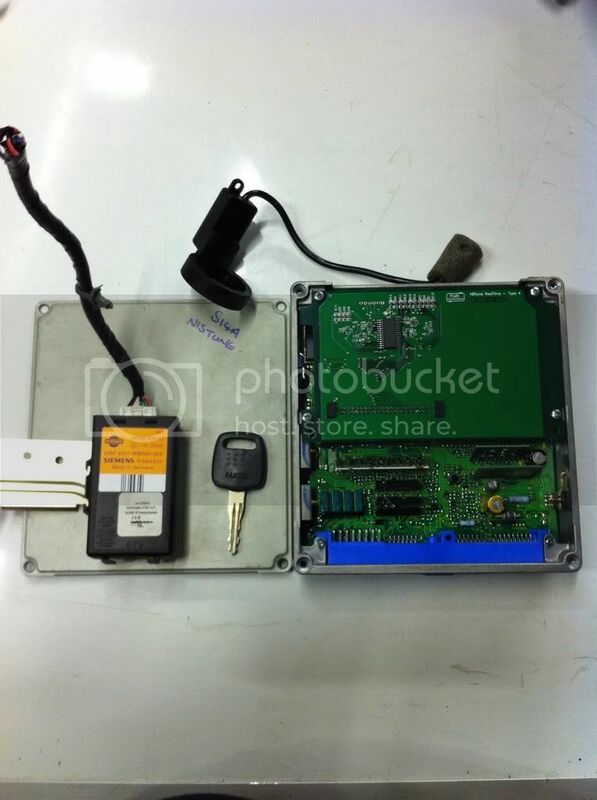 Alos bought a Nistune ECU from Gav @ Driftbitz . Gonna get the mapped checked yeah? Probably gonna get it re-mapped from scratch just in case. I don't have a tubular manifold so I cant just run it anyway. Lol, I get told that a lot! And it's true, I do, for shame!